The result of a key presidential election in the Maldives could hang on the mysterious influence of . . . a coconut. Police are investigating how a rogue fruit could have been involved in vote-rigging in the ballot. Police arrested the coconut after discovering it near a school used as a polling station on the Guraidhoo Island, one of hundreds of islands in the archipelago, with a population of around 2,000. The Maldives news agency Minivan (which we like to think operates out of the back of a minivan, but that might not be the case) reported that the small but suspicious coconut "had a Koranic verse written in Arabic on it and was lying on the ground near the school, easy for the public to see." A local told the agency that "It seems like it was a joke, just a prank, so that people will become aware." The official religion of the Maldives is Islam, but on some islands there remains a strong belief in black magic. Islanders had already expressed concern about their buildings being used as polling stations because they were worried about the use of magic. 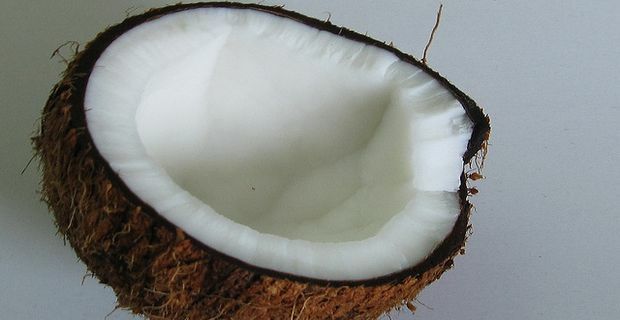 The appearance of the coconut is a little ambiguous, with some believing it was a magical totem, others suggesting it was used to parody such superstitions. Minivan interpreted the coconut's message as "a lesson for islanders not to practise black magic in an attempt to influence voting, and that the polling area would be closely monitored to prevent such activities from occurring". There's a lesson there for UK parties who tend to post a bored party member outside polling stations to offer last-minute pleas to voters or remind them of the candidate's name. Perhaps a nice fruit salad or sliced melon would be more effective.